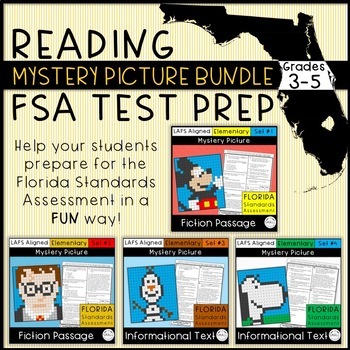 The FSA Mystery Picture Bundle includes 4 color by number reading activities with FSA style questions (multiple choice, evidence-based selected response, table matching, and selectable text) where students have to solve to discover a surprise picture. 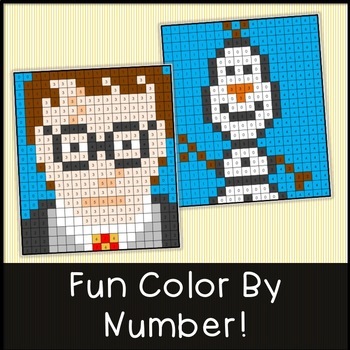 Once students answer the question they will then color all the numbers on their mystery picture page based on their answer choice. 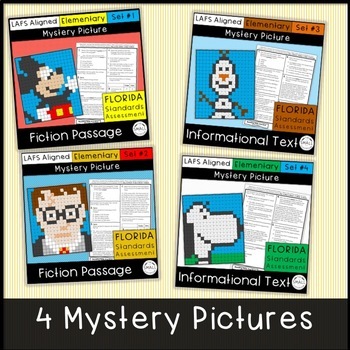 These mystery picture activities are great for individual, group, or whole class reading practice. 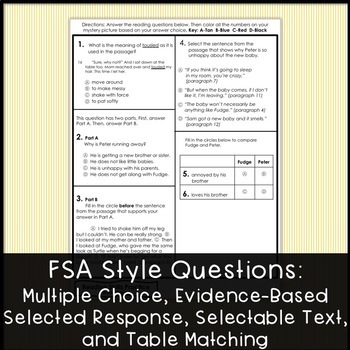 This if a fun and exciting way to practice reading comprehension questions for Standardize Test Prep.